Join In The International #ExcelWorldChamp Competition! Are you an Excel champ and would like to win something tangible for your competence in Excel? Then Microsoft has got something to give you the recognition you deserve. It is a global competition to find the world's Excel champs. 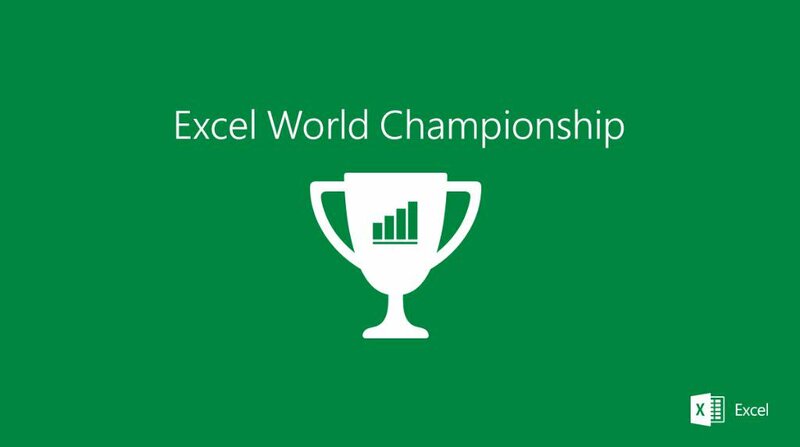 Do you think you have what it takes to be the Excel World Champ? We want to test your skills and creativity! From October 2016 to November 2016, Microsoft will run four rounds of Excel tests for residents of select countries. Only the top competitors in each round will make it through to the next, until ultimately there is one Excel Champ for each country! Residents of countries not listed below can compete in our international "All Other Countries" competition listed at the bottom of this post. In Early 2017, the country champions and our International winner will compete against one another for the title of Excel World Champ and our Grand Prize: a trip to Seattle, USA and a meeting with Excel Product Leads to provide feedback on the next features added to Excel. Fellow Nigerians can register here. I hope you (Michael) are competing. Would love to see you as Nigeria's excel champ. Thanks! But I am not sure I'll be able to compete as I am already an MVP and might be considered to be among the judges.